Sportsfriends may be taking the local multiplayer world by storm, but that doesn't mean that it's the only fighter in the ring. 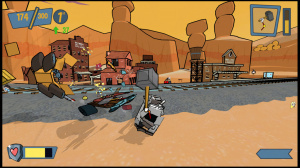 Finish Lines Games recently revealed in a PlayStation Blog post that Cel Damage HD, a re-mastered edition of the classic smash-'em-up, will be hitting the PlayStation 4, PlayStation 3, and Vita on 14th May in Europe. Not too long to wait, then. 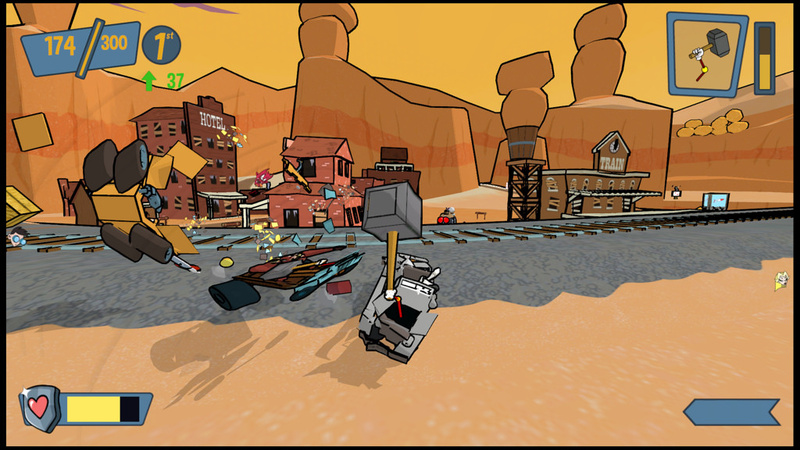 The title sees you driving around in a destructive death machine, raining mechanical mayhem onto your fellow players. What's more, it features ten distinct racers, and an utterly charming art style that you can witness in the new trailer below. Oh, and it's also cross-buy and cross-save, so you won't have to spend a fortune stocking up on PS4 controllers. Will you be taking Cel Damage HD for a test drive, or has Sportsfriends completely captured your competitive spirit? Wreak havoc in the comments section. Looks nice but no thanks. This was hardly a classic when it originally came out, I'm really confused as to why they feel the need to re-release it to be honest. I played it once, not particularly great. @XFsWorld It's already out in North America. oh neat a Dragon Ball Z reference. I like that it's cross-buy and cross-save, but I think I'll stick with the 2012 reboot of Twisted Metal for my car-combating needs. I have never loved a sub-heading so much in my life. Not sure about the game, but that ad for it was brilliant. @Cloud7794 Did you Dragon Ball Zee what I did there? @k_andersen Man you're Krillin me.